April 17, 6390 3:55 pm You are here:Home English Section The ghosts of Adichanallur – 2,500 ஆண்டுகளுக்கு முன்பே ஆதிச்சநல்லூர் தமிழர்களை தேடி வந்த வௌிநாட்டினர்? The ghosts of Adichanallur – 2,500 ஆண்டுகளுக்கு முன்பே ஆதிச்சநல்லூர் தமிழர்களை தேடி வந்த வௌிநாட்டினர்? Her features weren’t well defined but her body conveyed a symbolism. Her large hips were emphasised by what appeared to be a skirt or perhaps an oddiyanam — a belt-like jewellery. Her breasts were prominent and the long, dangling earrings she wore seemed typical of the Tirunelveli region of Tamil Nadu. The palm-sized bronze figurine came from the archaeological site at Adichanallur, located along the Tamirabarani river in Thoothukudi district, says C. Maheswaran, the retired curator for anthropology at the Department of Museums. “It likely represents a mother goddess who stood for fertility,” he adds. “The artefact is primitive but is circa 1,500 BC,” surmises T. Satyamurthy. As superintending archaeologist at the Archaeological Survey of India (ASI), he had led the fourth excavation — fifth, as per some records — in Adichanallur in 2004-05. For nearly a hundred years, the Mother Goddess has been lying safely inside a vault at the Egmore Museum. Now the figurine, as well as other artefacts, including gold diadems (gold jewellery tied with a string on the forehead) will join hundreds of other Adichanallur artefacts for display at a revamped gallery in the museum, says Kavitha Ramu, Director, Department of Museums. At the site in Adichanallur, abutting the sleepy hamlet called Karungulam, there is little, if any, sign of past grandeur. On a recent Sunday evening, as the sun set over the Tamirabarani river, the grassy knoll on the river bank became a grazing ground for cattle. 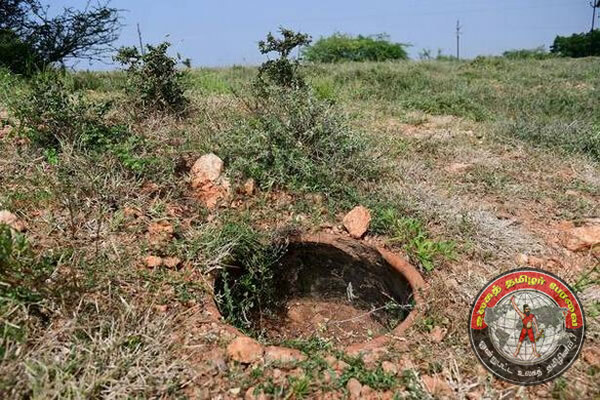 Bisected by the Tirunelveli-Tiruchendur road, two rusty signboards of the ASI give little information on the significance of the site but warn vandals of punishment. A group of women waiting for the bus motioned to this correspondent. One of them said in Tamil, “If you climb up the mound, you will see what you are searching for.” To the untrained eye, there is nothing extraordinary on top of the hummock, except for a view of two temples of recent origin. But right here, the four excavations in Adichanallur — by a German, a Frenchman, the British, and finally by Indians — have unearthed hundreds of burial urns, most likely several thousands of years old, along with skeletal remains and thousands of iron and bronze artefacts, including weapons and gold jewellery. These remains were shipped to Chennai, Kolkata, Berlin and Paris. A recently constructed building for an on-site museum in Adichanallur waits for the remains to return. Among Tamil enthusiasts, heritage lovers, and advocates of Dravidian ideology, there has been a resurgence of interest in Adichanallur, following the recent discovery of an urban settlement in Keezhadi, in Sivaganga district, dating back to the Sangam era (300 BC to 300 AD). Many of them have charged the Centre with wilfully stalling the excavations at Keezhadi, contending that the ASI was baulking at the prospect of digging out an extensive, ancient Tamil civilisation that was independent of Vedic Hinduism. Sangam literature, especially the earlier works, has been a touchstone for the Dravidian movement. The poetry of the Sangam canon evokes the inner world of feelings and the outer world of activity, but is largely silent on religious practices or even God. Many scholars aver that there is no trace of Vedic Hinduism in the verses, and almost nothing of the caste system or Brahmins. To many proponents of the Dravidian movement, the early Sangam era represents an ideal non-Brahmin, non-caste past, and gives them their separate identity. “If just the burial site can throw up so many things, imagine what a full-fledged excavation in Adichanallur might unearth,” says R. Mathivanan, who served as the Director the State government’s Tamil Etymological Dictionary project. 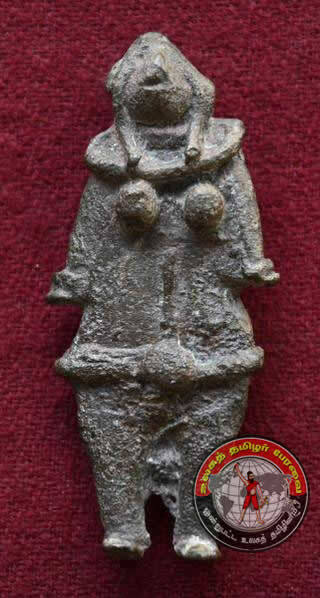 A figurine of Mother Goddess unearthed at Adhichanallur, placed at Government Museum in Egmore, Chennai. The skeletal remains excavated at Adichanallur also did not quite match the biological structure of the contemporary Tamil people. For instance, the jaws of many of the skulls were protruding, and appeared to match those of Australian aborigines or Black Africans rather than a typical Tamil or south Indian. The shape and size of the eye sockets resembled those of the Caucasoid, Far Eastern or even African races. A receding forehead was yet another indicator of foreign origins. For many decades, experts assumed that the site was 3,000 to 4,000 years old, and had concluded that the skulls belonged to primitive races that were the ancestors of today’s Tamils. Some sought to link them to the people of the Indus Valley, which has been recognised by some scholars as proto-Dravidian (‘proto’ would mean ‘original, primitive or the earliest’). Adichanallur was the missing link in time between the Tamils and the Indus Valley people, they felt. But in the most recent research, P. Raghavan, a physical anthropologist, has surmised that the remains belong to the 500 BC to 200 BC period, by which time the contemporary Tamil population had formed. He has concluded that the foreign-looking skeletal remains were indeed those of foreigners. But what were these foreigners doing in Adichanallur thousands of years ago? The most recent Adichanallur excavations in 2004-05, led by Mr. Satyamurthy, showed that Adichanallur, besides being an Iron Age burial site, was also a ‘habitation site’ where ancient people lived. In several reports in The Hindu and Frontline published at that time, journalist T.S. Subramanian explained what was excavated during that dig. 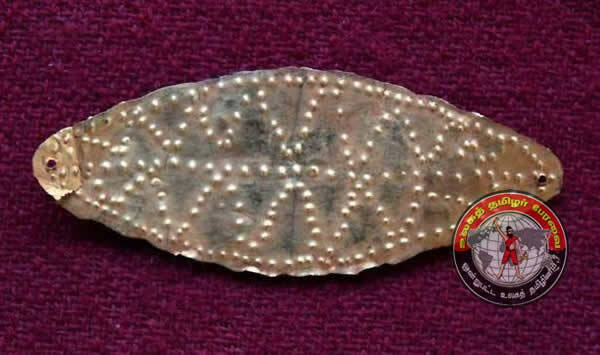 A research paper published in 2010 in the Indian Journal of History of Science said that Adichanallur was also an ancient centre for mining and metalwork. A mineral sample from a burial urn containing copper artefacts was dated to 1,500 BC, plus or minus 700 years, by Raj Kishore Gartia of Manipur University. “At Adichanallur, arsenic was deliberately added to copper so that the alloy could be work-hardened over a wide range of temperatures without fear of embrittlement. Among the ancients in India, this technique has been found only in the Indus Valley, besides Adichanallur,” says B. Sasisekaran, who was serving as a scientist at the National Institute of Ocean Technology when he did the research as part of the team. He adds that at the nearby Krishnapuram too, an ancient mining site was found, indicating that this was not an isolated activity. The experts concluded that metal artefacts were made here until the 8th century AD. The dating method used has, however, drawn criticism. In the Thermo-luminescence (TL) and Optically Stimulated Luminescence dating (OSL) methods adopted, the last time the mineral was heated (probably for its manufacture) is detected. Critics say that carbon dating is more appropriate for Adichanallur. Gold ornament tied on the forehead during wedding unearthed at Adhichanallur, placed at Government Museum in Egmore, Chennai. Mr. Sasisekaran counters that OSL is indeed the standard for dating minerals, as carbon dating is used more for organic material. He adds that OSL had successfully dated findings by marine archaeologists at the Gulf of Khambat. But some archaeologists insist that radio carbon dating at three reputed institutes would settle the issue and also reduce the error margin in the OSL dating. For quite some time now, Adichanallur has been the playground of contentious theories voiced across the world. These theories have dealt with some of the biggest questions concerning the history of not just India but the entire human race. Starting in Chennai, or Madras, as it was known then, the Adichanallur findings have exercised bright minds in Kolkata, Berlin, Paris, London, Australia and Ithaca in New York State, home to Cornell University. “Adittanallur (Adichanallur) skeletal data have come to be regarded as the keystone for many theories of race formation, which were based upon the tenets of an earlier anthropological preoccupation called racial paleontology,” said Kenneth Kennedy, former professor of physical anthropology at Cornell, in his essay, “Hauntings at Adichanallur: An anthropological ghost story”, published in 1986. Adichanallur’s international links began with the arrival of German antiquarian and Berlin resident of Russian descent Friedrich (Fedor) Jagor in the 19th century. Germany during Jagor’s time was a late entrant to the imperialist game that still fancied its chances. The Germans believed that they could use ethnography to understand the native populations they were encountering in Asia and Africa. This resulted in a race among German cities to boost their cosmopolitan status and catch up with other cities on the continent by enhancing the ethnological collections of their museums. Jagor, a resident of Berlin, was a prominent player in this race. Between 1857 and 1893, Jagor made three trips to Asia. During his second expedition in 1876, he excavated “upwards of fifty kinds, of baked earthenware, utensils of all sizes and shapes, a considerable number of iron weapons and implements… and a great quantity of bones and skulls”, wrote the District Gazetteer. Jagor shipped his finds to the Ethnological Museum of Berlin. Jagor has left detailed chronicles of his travels, but not of Adichanallur. “Jagor brought back some 10,000 artefacts in all. The Indian artefacts were first stored at the Ethnological Museum and in 1963 were brought to the newly established Department of Indian Art, now a part of the Museum of Asian Art next to the Ethnological Museum,” says Roland Platz, curator for South/Southeast Asia at the Berlin Ethnological Museum. Jagor may not have written about Adichanallur but his treasures were becoming well known in Europe, noted Kennedy. Louis Lapicque, a French neuroscientist who believed in race theories, landed in Adichanallur in 1903. Kennedy added that Lapicque dug out one skull that, according to Lapicque, constituted evidence of a primitive Negroid race. This skull was “proudly displayed” at the Muséum national d’Histoire naturelle in Paris, according to Kennedy, who noted that many other experts of that time were also weighing in on the skeletal remains. Meanwhile, Alexander Rea, the superintending archaeologist of the ASI in Madras, had started his own excavation at the turn of the 20th century. In all he excavated 14 skeletal remains, and many of the artefacts he dug out were put on display at the Egmore Museum in Chennai. In 1930, Solly Zuckerman, a research anatomist, did a measurement-based study of two Adichanallur skulls. He found the first to be somewhat Australoid but didn’t think it was too different from being Dravidian. The second, he said, was likely female, and remarkably similar to the Old Woman of Grimaldi, one of two Stone Age skeletal remains found in Italy. The Grimaldi finds were thought to support the ‘Out of Europe’ theory which was later discredited. The Grimaldis were supposed to be examples of darker-skinned Europeans who gave rise to Black Africans and, probably for Zuckermann, Dravidians too. In 1963, Indian anthropologists B.K. Gupta and P. Chatterjee published a study based on more advanced skeletal evaluation techniques in which they said the skeletons showed a medley of “primitive” features that belonged to Veddoid-Australoid and Mediterranean races. These races had “contributed to the formation of Dravidian speakers”, they said. ‘Vedda’ is a tribe that is still found in today’s Sri Lanka. In Tamil, ‘Vedda’ stands for the hunter tribe. As per the folklore, the most popular deity in the State, Murugan, comes from that tribe. The two Indian anthropologists noted that the Australoid and the Mediterranean skeletal remains had also been found in Indus Valley Civilisation, thus establishing a link with Adichanallur. Reviewing these studies, Kennedy concluded in his essay that the Adichanallur remains found until then were quite diverse. On that basis, he called for more conclusive excavations and analysis so that the ghosts of Adichanallur could be put to rest. By 2014, the ‘Out of Africa’ theory had become the scientific consensus on the origin of man, and Australia had embarked on a project that would show that the aborigines in that country were descendants of ‘Out of Africa’ migrants living in South and Southeast Asia during the Ice Age. The Australoids had reportedly pushed towards Australia through sea and land routes — apparently, Australia was attached to the mainland then. Among the scientists working in that project was P. Raghavan, who was born to Indian Tamil parents in Jaffna but left the island nation in the late 1970s due to the ethnic strife there. He and his sister Gayatri Pathmanathan moved to Chandigarh as researchers. Raghavan later moved to Australia. In December 2004, he was on a visit to Chennai for his research on the link between aborigines and South India. A hotel receptionist, after asking about his profession, informed him that some ancient skeletons had been unearthed at Adichanallur. “Adichanallur became my passion…” says Mr. Raghavan. While physical anthropologists before him saw Adichanallur in isolation, Mr. Raghavan, assisted by his sister, saw it in the context of Korkai, some 15 km from Adichanallur, and the Sangam references to it as a port involved in sea trade and pearl fishing. Radio carbon dating had found that a sample from Korkai was circa 800 BC. At that time (2,500 years ago) the sea might have been at least 6-7 km inland, he says. After research using advanced software and databases, and scrutiny of the fossil and semi-fossil records in the area, he testifies to the foreign origin of the people whose skeletal remains were found. He says they date to 2,500-2,200 BC. “Many of the Adichanallur skulls were that of people from the Middle East, the Mediterranean region, Southeast Asia and the Far East, including what is today Vietnam, Cambodia, China and Japan. The skulls had abnormalities and nutritional deficiencies of the kind typically suffered by seafarers and deep-sea divers. They probably came in through the silk trade route, and the burial ground excavated was probably an exclusive cemetery for foreigners,” Mr. Raghavan says. The skull remains pointed to sexually transmitted diseases, which was again was a prevalent aspect of seafarers, he adds. Some of the skulls had mysterious, well margined cavities just above the eyebrows. Mr. Raghavan says that they were probably caused by non-cancerous (benign) tumors (also known as Pott’s Puff Tumors) and related to excessive sinuses. They were likely caused by certain bacteria that often attack sailors and deep sea divers, he adds. The Egmore Museum gallery seeks to highlight the sea trade aspect. “The revamped Adichanallur gallery in Egmore Museum will give visitors a feel of ancient Tamil life and their maritime activities through the use of virtual and augmented reality,” says K. Pandiarajan, Tamil Nadu Minister for Tamil Official Language and Tamil Culture.“We hope to draw in Central as well as Corporate Social Responsibility (CSR) funds for the overall museum revamp project,” he adds. “The State government has sanctioned ₹30 lakh for refurbishing the Adichanallur gallery, which will be completed by March-April,” says Kavitha Ramu of the Department of Museums. Mr. Raghavan says that of the nearly 170 skeletal remains studied, Caucasoid constituted 35%, Mongoloid 30%, Negroid 14%, Australoid 5%, Dravidian 8%, and mixed traits 8%. He says that the Australoid were likely contemporary Australian aborigines who were known to have had seafaring qualities. Modern anthropologists frown upon any significance being attached to race, save for the purposes of reconstructing history. The present belief is that there are four races: Australoid, Negroid, Caucasoid and Mongoloid. But these are statistical constructs that do not determine or describe culture, behaviour or ability. No one is purely of any race and the races are not closed genetic systems. “In any case, India is an admixture of all the four races. The extent of the mix may vary from region to region,” says Mr. Raghavan, adding that Dravidian and Aryan are linguistic and not racial entities. Dravidianists argue that as long as there are caste-based inequalities and concentration of power in the upper castes, empowerment politics based on race and identity are both relevant and necessary. When marriage across caste boundaries becomes commonplace, such politics won’t be required, they say. They hope that an extensive excavation will conclusively establish a glorious Tamil civilisation along the Tamirabarani. “Less than 10% of the site has been excavated. There is scope for much more work there,” says Mr. Satyamurthy. Mr. Raghavan’s finding offers closure to at least one aspect, however. Fedor Jagor came looking for the remains of a primitive people to exhibit in a Berlin museum so that the city could present itself as more cosmopolitan. Little would he have known that he was digging up an ancient cosmopolitan cemetery, if not the burial place of an entire cosmopolitan community. M. Kalyanaraman – Adichanallur in southern Tamil Nadu has been an active playground of archaeologists and anthropologists for more than 150 years. M. Kalyanaraman reports on the possible implications of recent research on skeletal remains and artefacts that suggest an ancient Tamil civilisation of great sophistication and antiquity. 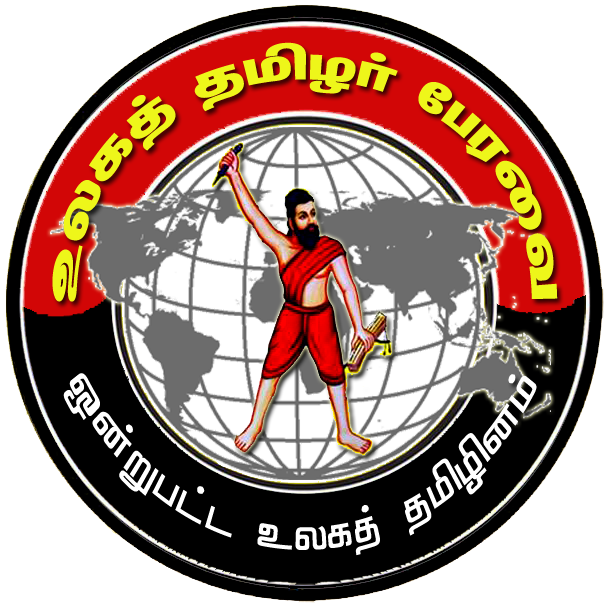 © 6392 World Tamil Forum –. All rights reserved.